Yes, my #1 favorite Stanwyck role is Vance Jeffords in The Furies. The great Walter Huston delivers yet another memorable performance as well, which is appropriate since it’s his final one on film. Babs plays a babe here who has more balls than the men in her life. She’s tough as nails, reliable as a calendar, and loyal to the people she loves. Her dream is to take over her father’s vast cattle empire. She wants her birthright more than anything — even marriage. 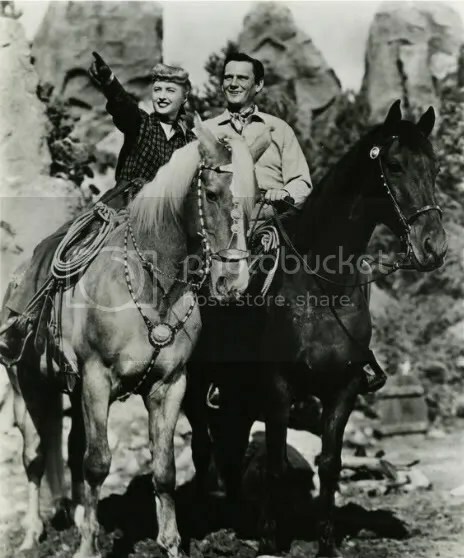 There’s a great scene where she rides out to warn Rip Darrow that he’s no longer welcome on her property. He doesn’t budge a muscle out of defiance, so she pulls a gun out and shoots a hole in his shirt just above the shoulder. Ms. Jerrods is not one for idle chit chat. One of the most iconic movie sequences is Stanwyck’s character throwing a pair of scissors @ her future mother-in-law. I immediately thought of coffee and Gloria Grahame, realizing that Mann’s scene came first. This is easily Mann’s best western and I love the Stewart films as much as anyone. There is a parallel to Joan Crawford’s character in Johnny Guitar, but nobody plays a strong, agressive female better than Babs.